We could easily spend the whole of this review focusing on the technology packed into the new BMW 5 Series. Rather than getting all Bill Gates on you, though, we’ll have a look at the systems that are there to help you, but we’ll also consider how the cars drives and what you get for the money. Why the early mention of the tech? 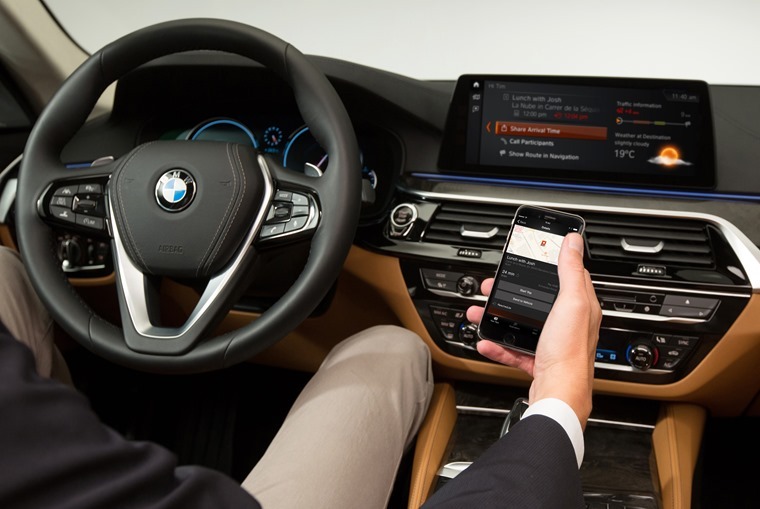 Well, BMW claims it’s now as much a techie business as a car maker, but so many of those who will choose the new 5 Series will do so based on experience of the previous generation models being great to drive. 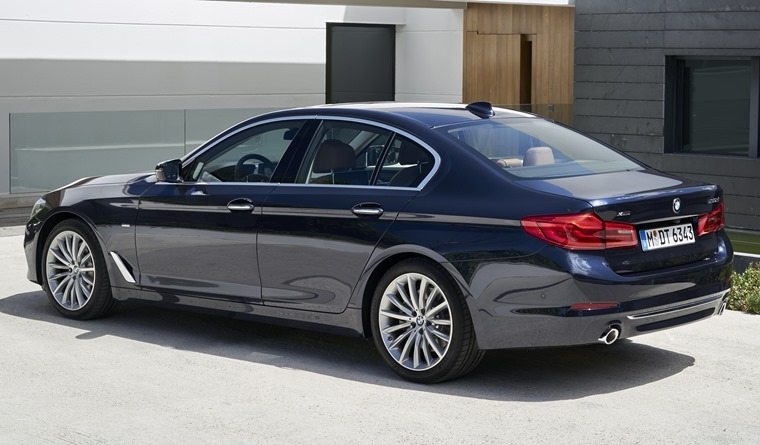 The 5 Series has been the market leader in the executive saloon sector in the UK for as long as the segment has existed. That’s a hugely important factor when many will spend large amounts of time at the wheel, and it has a significant bearing on customer loyalty. Let’s not forget the 5 Series has been the market leader in the executive saloon sector in the UK for as long as the segment has existed. 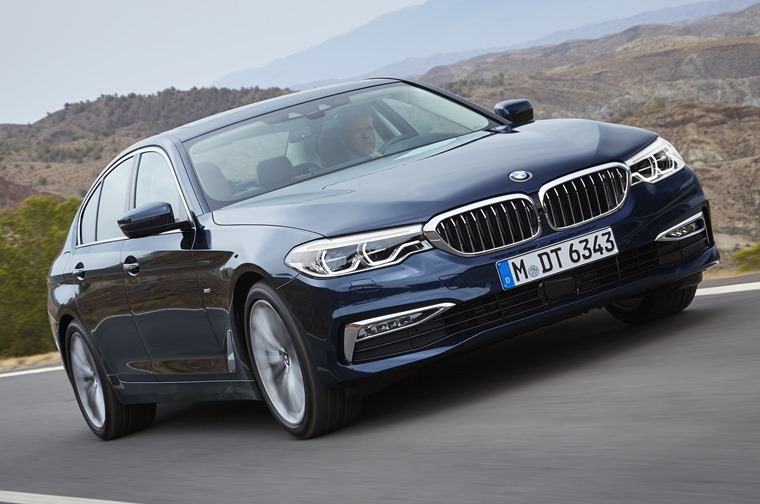 With the new line-up, there are the same 520d and 530d models with turbo-diesel engines alongside the 530i and 540i models with petrol motors. We also now have the 530e plug-in hybrid model capable of 29 miles of travel on battery power alone. This version can also offer electric driving up to 87mph and 46g/km carbon dioxide emissions. The 530e is clearly aimed at fleets and follows the 330e’s success in breaking down barriers with customers. For those who are not ready to go hybrid just yet, the 530i dishes up 0-62mph in 6.2 seconds and the 540i in just 4.8, which will have to do until the next M5 pitches up. Helping the 540i along is standard xDrive all-wheel drive. The 4x4 system is also offered on both diesel models. This has been revised over the last generation’s set-up so that up to 100% of power can be sent to the front or rear axles depending on traction. In normal mode, the drive goes to the rear wheels, but there’s no feeling of transition when you challenge the limits of grip. Instead, the 530d xDrive we tried drove through corners with a balance and precision that creates an even bigger safety margin than the car it replaces. The 530d xDrive we tried drove through corners with a balance and precision that creates an even bigger safety margin than the car it replaces. Staying with the 530d, its 263bhp six-cylinder motor offers superbly strong acceleration, with the all-wheel drive version cracking 0-62mph in 5.4 seconds. The rear-drive model takes 5.7 seconds for the same dash. Now, usually, we’d be telling you to choose the 530d if your budget can stretch the extra few pounds per month for the lease. After all, here’s an executive saloon that is wonderfully refined, swift and agile. Yet, the extra grunt can cause a very slight step as the eight-speed automatic gearbox swaps one ratio for the next. This is why we now hail the 520d as the perfect 5 Series. Its 187bhp 2.0-litre four-cylinder engine is the epitome of refinement and smooth delivery. If it wasn’t for the badge on the back, we’d have sworn it had another couple of pistons under the bonnet. 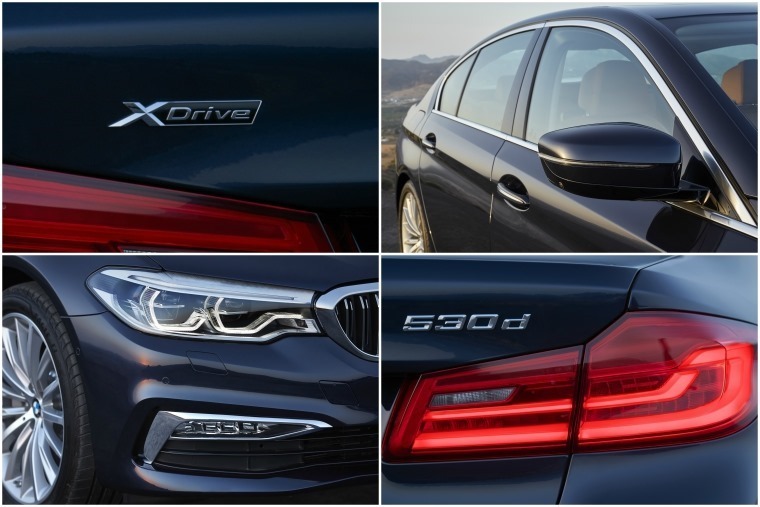 Press hard and the 520d offers 0-62mph in 7.5 seconds, or 7.6 if you choose the xDrive model. Yet even when driven as hard as possible, it never wavers from its mission to be as slick and hushed as you’ll find in any car. Couple that to emissions as low as 102g/km and 72.4mpg for the SE Efficient Dynamics version and its knocks spots off its rivals. All of this achieved while delivering a ride that cossets its passengers while controlling the body with superb poise. The M Sport trims we tried with their firmer suspension and larger alloy wheels, using 18-inch wheels in place of the SE’s 17-inch rims, refused to be wrong-footed by any break in the road surface. 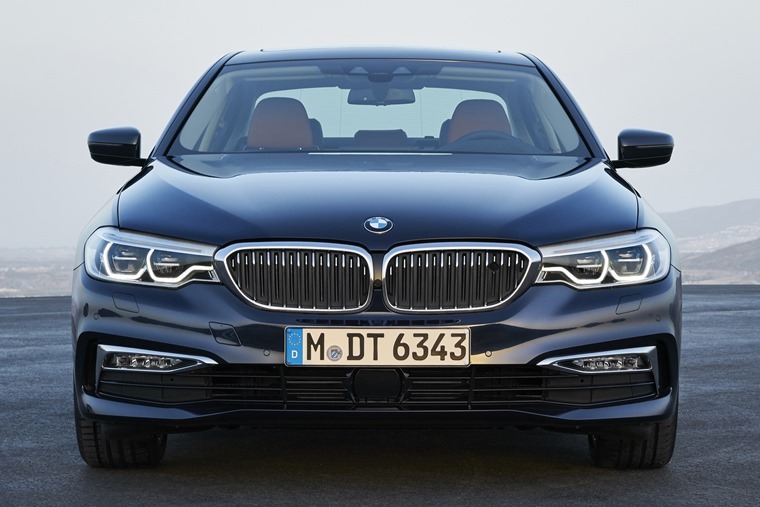 That attention to detail is one element that marks the new 5 Series out from its predecessor. The only chink in the Five’s armour is a slightly dull feel to the steering in the straight ahead position. However, it still delivers good feel and precision,and the car is unwaveringly stable on the motorway. There’s also a faint breath of wind noise at this pace thanks to an aerodynamic drag factor of 0.22Cd. That attention to detail is one element that marks out this new Five from its predecessor. The other area is the aforementioned technology. It’s densely packed into the car, yet it’s also easy to use thanks to functions such as the 12.3-inch digital cockpit instrument display. It looks just like normal BMW analogue dials, yet the screen can be configured to show a variety of information. There’s also the latest iDrive system that uses a touchscreen mounted high and central in the dash. It uses a rotary controller next to the gear lever and is easily the most intuitive and unobtrusive infotainment set-ups we’ve ever used. 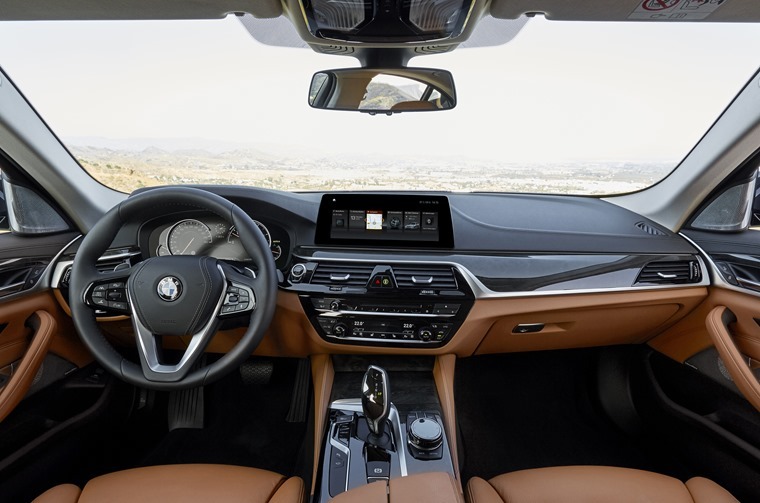 Scrolling through its various options is quick and simple, while BMW’s short-cut keys below allow you to head straight to the most in-demand features. There’s also the option of Gesture Control and Voice Assistant to work the iDrive using hand signals or spoken commands. As well as this technology, there’s also plenty aimed at making your drive safer. So, there’s cruise control with braking function and Emergency Call. You can add to this with a package of equipment that includes lane departure warning, cruise with stop and go to let the car deal with crawling in traffic jams, and autonomous braking. It’s the best car in its class by a significant margin. There are also plenty of options to upgrade the interior, but frankly when it’s already so well appointed with standard leather, air con and more space than the last 5 Series in the front and back, it’s a case of gilding the lily. 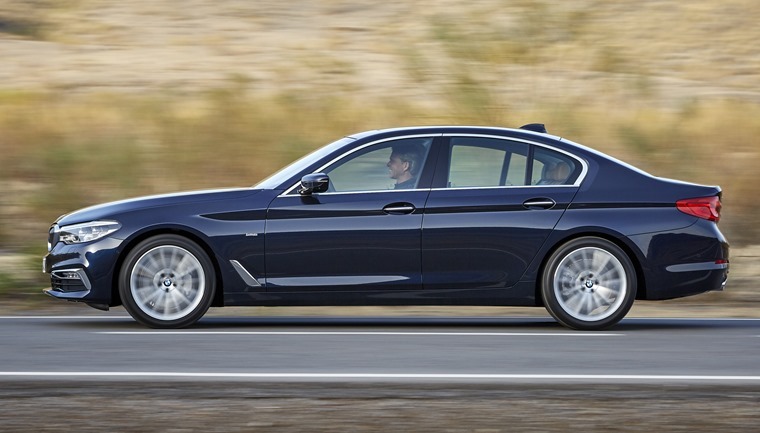 So, the seventh incarnation of the BMW 5 Series is a luxury, technical and driving tour de force. Without doubt, it’s the best car in its class by a significant margin, which is really all you need to know about it.